Families in and around Waynesboro, VA need a vehicle that has something for everyone, and then some. Meet the new Honda Odyssey. 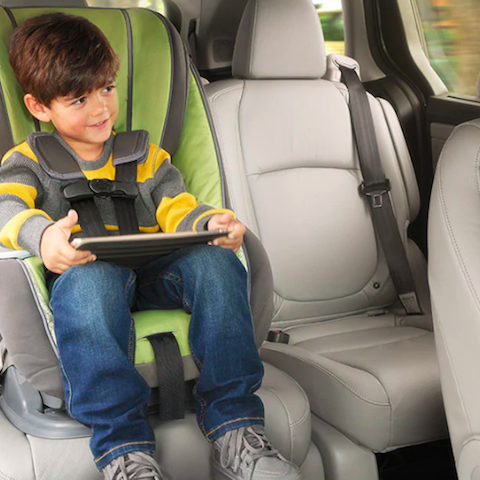 Commitment to quality and safety are Priority #1 in the Honda Odyssey. This affordable minivan leads the pack in comfort, handling, and infotainment. Harrisonburg Honda offers this popular model at a great price to every family in Waynesboro. There’s something about the Honda Odyssey. This highly ranked minivan announces itself with a sleek design and bold, beautiful colors like Obsidian Blue Pearl, Steel Sapphire Metallic and Deep Scarlet Pearl. This 8-seater has 3 rows and provides a smooth ride with extra comfort and headroom. It’s low-ground clearance and big door openings provide easy access into the cabin. There are also convenience options such as the back door kick-open mechanism and the CabinWatch, which is a camera that keeps an eye on the little ones in the back seats. 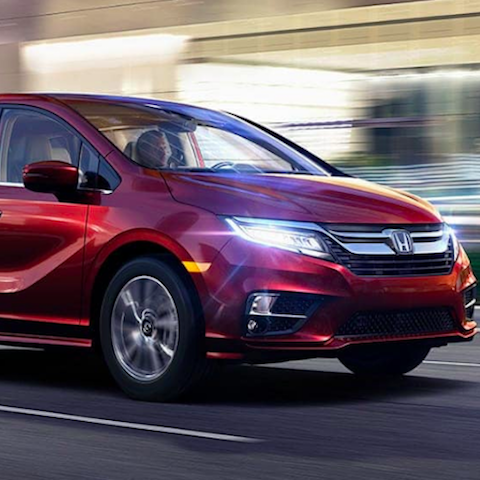 Bring the whole family to Harrisonburg Honda and test-drive the new Odyssey today! Like most minivans, the Honda Odyssey is spacious and comfortable, but the Magic Slide Seats really make it special. Available in upper trims, this invention allows for easy, flexible movement within the cabin. The Magic Slide Seats in the second row allow you to move the seats to the left and right for easy access to the third row. They’re also configured to move the center seat forward when you need to tend to the baby from the front seat. The Harrisonburg Honda team is here to make sure you know each and every detail of your new Honda Odyssey. Contact Us today! 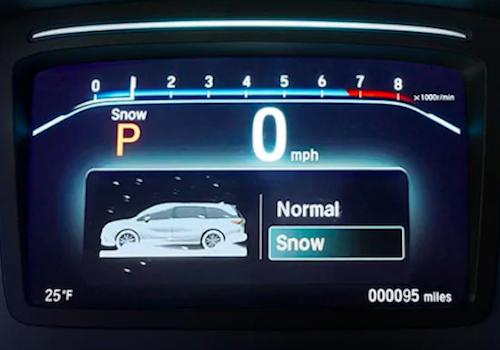 Take a few minutes to explore the many ways that your new Honda Odyssey can make life easier for you and your little passengers! The creators of the Honda Odyssey designed this minivan to protect and defend its precious cargo. That’s why they include the comprehensive Honda Sensing package as a standard feature in nearly every trim. 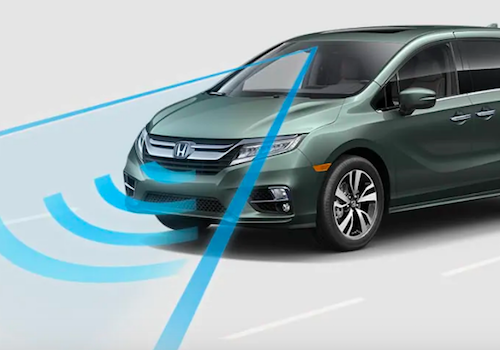 The Honda Sensing suite of advanced safety features includes a Collision Mitigation Braking System, Road Departure Mitigation, Adaptive Cruise Control, and a Lane Keeping Assist System. These high-tech systems are always looking out for you and yours. After all, you don't really have eyes in the bak of your head. Drivers are raving about the Adaptive Cruise Control (ACC) that tracks and adjusts your following distance from the car in front of you. If you approach a car too quickly, this system will warn the driver. If the car doesn’t slow down, the ACC will adjust your speed to maintain a safe distance. The hilly terrain around Waynesboro, VA demands a vehicle you can depend upon. Harrisonburg Honda has the selection and expertise that allows you to make easy decisions about your next vehicle purchase. We know the luxurious ride of the Honda Odyssey will win you over once you get behind the wheel. We want to introduce you to this affordable, family-focused minivan with a hardy V6 engine that will really smooth out those hills. Our priority at Harrisonburg Honda is to provide you with the best vehicles at the best price. We want folks from Waynesboro, VA to bring the family in and test the well-loved Honda Odyssey. After you check out our easy financing options on our website, you can walk into our showroom with the confidence to select the model of your choice. We'll put our best effort into making sure you get the very best for your time and money. You'll love owning the new Honda Odyssey from Harrisonburg Honda.